Why did you choose to join the RunVerity Beginner’s Running Course? I joined the beginners course as I have always wanted to run . I tried many times - completing the race for life 4 times. I couldn't get my breathing right and struggled with motivation. Joining the club was a last attempt to get it right . Since joining the club I have fallen in love with running and the way it makes me feel. 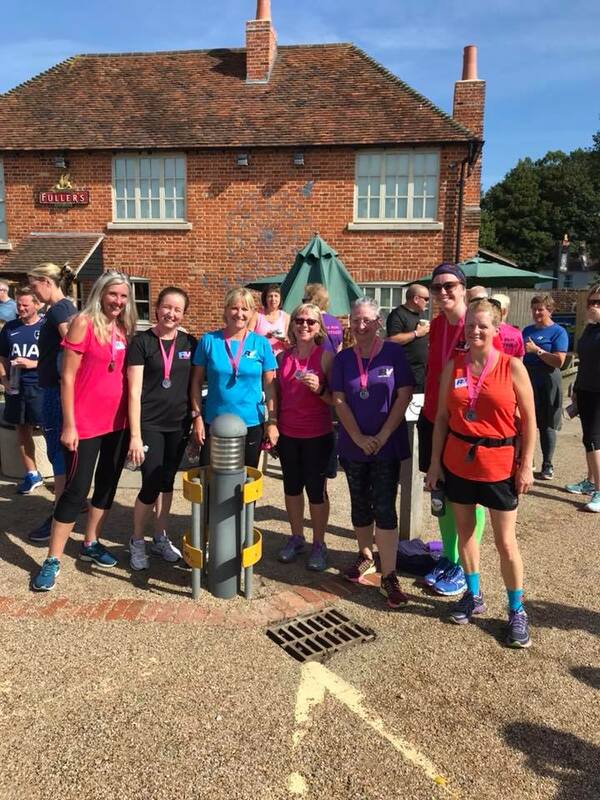 Running with the group is great - I dont realise how far we have run and I recover a lot quicker compared to when we started. Being coached has helped so much . The support and motivation from Verity and the group is fantastic. There is always someone to advise and help with any questions . Learning the correct posture and running technique has helped prevent injury and helped me feel stronger , and able to run further. I would certainly recommend the running course to anyone. The course is great , social and informative. If you have ever wanted to run but feel you can't do it this is the course for you. I'm so pleased I did it ! I started running with RV end of June 2017, I had always been active, doing cycling, gym classes yoga etc, but due to having asthma as a child I was always told I would never be able run any kind of distances so I avoided it, until I saw an RV advert on Facebook. 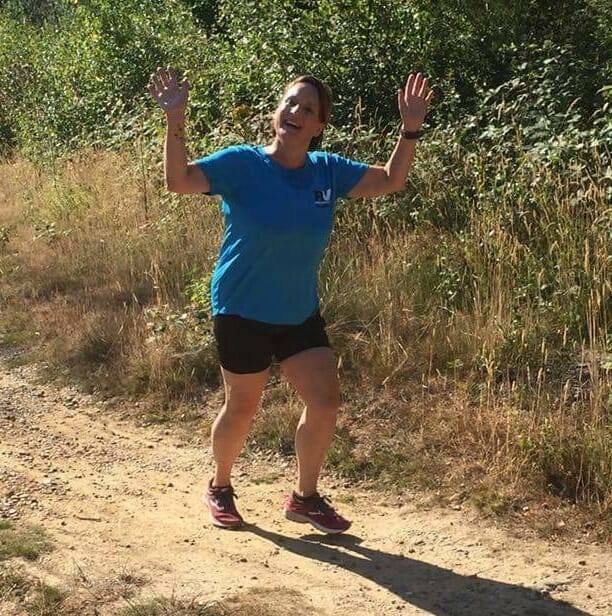 I can't tell you what made me sign up I was very apprehensive and emailed Verity multiple times, I was convinced at the age of 45 I was too old to start running, she encouraged me to come along to try it out and if I liked it to sign up afterwards. It was about 6 weeks till the next beginners course, and me being me thought well I can't turn up and not be able to run! So I started doing couch to 5k, I turned up only to realise I was beyond the beginners group, so I went into the intermediate group with Dee, I didn't realise that the whole point was for me to start at the beginning! Lesson learnt! It was chucking it down with rain, and I never felt so exhilarated in my life, it was a mad feeling, I didn't know what to expect, but I soon got chatting and the great thing was it was a group of about 15 people and no one got left behind due a system of looping, it's what sets RV apart the feeling of inclusiveness! I realised in the first 6 months what a fab group this was, the support from others in the group was amazing, I realised the importance of a good coach. Verity is amazing, constantly motivating which can be hard on cold wet mornings when the last thing you want to do is go outside. I have had several set backs with my health over the last year with my motivation plummeting at Christmas time when I had surgery. I had gone from doing a respectable 5k in 34.30 with no stopping to not being able to manage 5k properly without stopping (in my head I felt a failure)... Verity and Emily picked me up, by offering support and slowly giving me back my confidence and believing in me when I didn't. My goal has always been to do the Great South run in October 2018, never thinking I could achieve this, however about 2 months ago I was at my Monday morning run again and ended up walking for a bit, listening to myself moaning that I couldn't run 5k without stopping and I never would, Verity said to me it doesn't matter, why do you see that as a failure, it's okay to walk! I went home and thought about this and then went out on my own and managed to shut the monkey down in my head by running 5k without stopping, it was a real psychological break through for me, I was buzzing so much, from that point on I felt as though something had clicked, I stopped the negative thoughts and switched it to positive, I can do this! Long story short since then I've been going out regularly 3 x a week which I think makes things easier, for me anyway, I believe it was the random runs that made it hard to run continuously. I am now in a routine I've been on plan to train for the GSR courtesy of Verity's spreadsheet on her fab members website which I have been following and I can honestly say I really enjoy running now. There are opportunities to do weekend runs and park runs which help keep everyone motivated. I've just come back from a 5 mile run this morning and completed it in 50 minutes. I never thought it would be possible, I've gone from a 13/14 minute mile to a 10/11 minute mile and a 5k in 31 minutes aiming for a sub 30, however it's not about how fast you are as everyone is different, for me I enjoy and get a kick out of seeing the numbers go down as I feel I am constantly improving. I feel so well in myself, I've got defined muscles in my legs, my stamina has improved, my asthma is well under control and my overall mental health could not be better. I am a runner! And it's all thanks to Run Verity. I started RV Intro into Running the day after my 56th birthday after a period of rehab for plantar fasciitis. My msk podiatrist suggested that I was good to start running! From limping and thinking I would need a stick, to RunVerity Intro to Running course, and 12 weeks later I ran 5k without stopping, without gasping for breath and without pain. I am amazed at myself every time I run, because I can. taught me how fast to run (slowly) and how to use legs and arms, it gave me confidence that my legs really can do this, and the knowledge that I won't die trying. 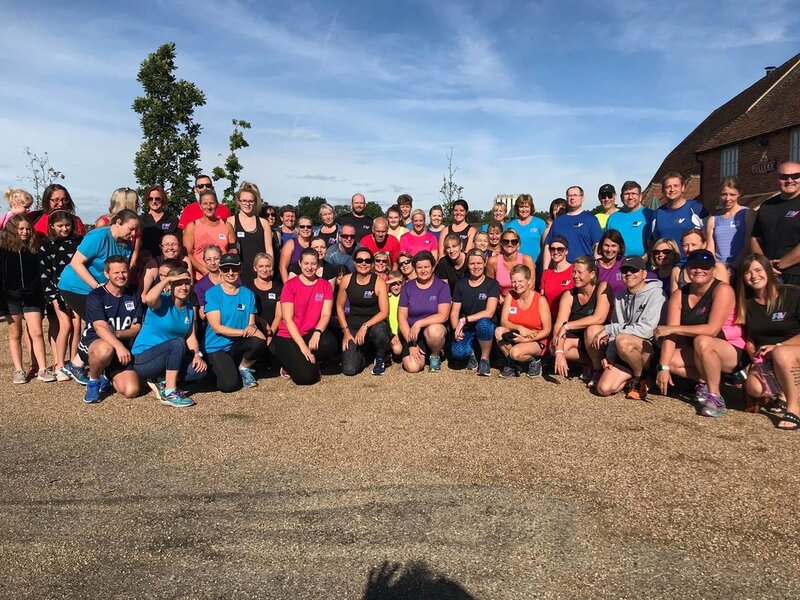 RunVerity is a wonderfully friendly and supportive place to learn how to run, and to develop as a runner. Lots of people of all ages sizes and abilities running together.